Play On Rubber Fitness Flooring. 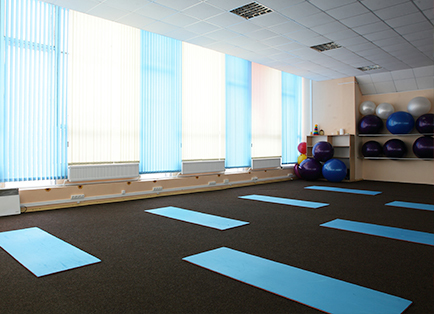 XGrass Fitness XG rolled rubber is the ideal flooring solution for any home exercise room, commercial gym and athletic facility. This durable, seamless surface will last for many years to come as it stands up to the toughest conditions and high traffic areas. XGrass Fitness XG rolled rubber offers the perfect balance of fortitude and forgiveness whether you are working out or simply walking on it. You don’t need to sacrifice comfort for durability any longer when it comes to your athletic facility’s flooring. Don’t settle for a generic look. Choose from a wide selection of colors and add your school’s custom logo to set your facility apart from the crowd. Our flooring experts will help you choose the right color and custom fit for your space for a seamless installation. XGrass Fitness XG rolled rubber offers a seamless, forgiving surface that protects athletes’ joints and helps prevent fall-related injuries. A long-lasting surfacing solution, XGrass Fitness XG can stand up to the toughest conditions, high amounts of foot traffic and strenuous activity levels. XGrass Fitness XG serves as a power sound barrier to keep the noise minimal throughout the room, especially locker rooms and weight rooms. The seamless, nonporous flooring of XGrass Fitness XG rolled rubber is exceptionally easy to clean. Our experts will help you choose from a wide selection of surfacing colors - you can even add your school or brand logo to create a one-of-a-kind space. 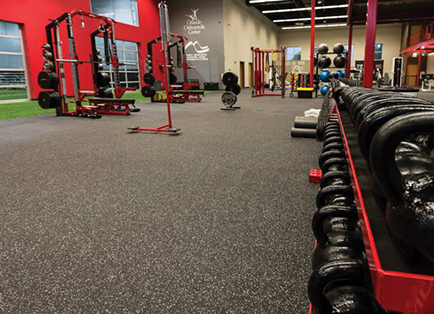 XGrass Fitness XG rolled rubber flooring is made from recycled materials and can even be recycled once it is ready for replacement. A proud member of The Recreational Group family of companies. 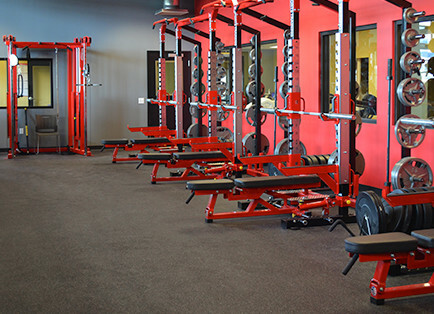 Outfitting a sports facility is a major undertaking. It requires expert planning, communication, coordination of logistics – and of course, solid, reliable products. Play On Courts has it all covered.